Described as a ‘New World Grand Cru’, Cheval des Andes is a high-end wine project that is a collaboration between Terrazas de los Andes and Pierre Lurton of Cheval Blanc. 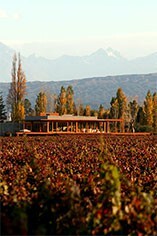 The joint venture was proposed by Pierre Lurton in 1999 when he realized the potential for top quality wines that existed in certain sites in Mendoza. Lurton was eager in connecting again with the grape of Saint Emilion’s past: Malbec. A grape that was decimated by phylloxera in the 1860s from its position as one of the most important varieties in Saint Emilion and Pomerol. It has since been reincarnated at Cheval des Andes in an un-grafted form in Argentina, producing some of the world’s best Malbecs in recent years. 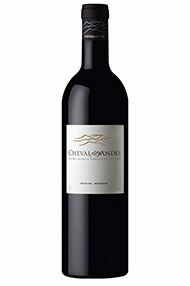 Cheval des Andes wines are a blend of Malbec and Cabernet Sauvignon grapes from the high elevation, old vine vineyard "Las Compuertas" near Mendoza. To Lurton, Cheval des Andes is an “exotic wine with a Bordelais touch”. To Nicolas Audebert, its winemaker and a French ex-pat who used to make Krug and Veuve Clicquot, it’s the “best of two worlds: a combination of the intensity of Argentinian fruit but dressed in a very elegant way with that French style”. Graphite, damsons and mocha on the nose. There is sweet spice as well. There is a huge volume of fruit on both the nose and palate, perfectly balanced by fully ripe and integrated tannins and a mineral freshness. There is a vanillin note from the oak on the finish but it’s not overwhelming. A very impressive effort. Perfect for a couple of years in the cellar then drinking over the following decade. The best yet. Characteristic dark chocolate notes from the Malbec ensure you know where this is from but the 2010 also shows all the benefits of a cooler vintage in Argentina; full, powerful and ripe but there’s a freshness and finesse which one associates with fine Bordeaux. The 2010 reminds me of the fantastic 2007 Cheval des Andes, the wines of this estate are becoming more focussed and pure when the climate allows. A New World Grand Cru - Cheval des Andes is a high-end wine project that’s a collaboration between Terrazas de los Andes and Pierre Lurton of Cheval Blanc. The joint venture was proposed by Pierre Lurton in 1999 when he realized the potential for top quality wines that existed in certain sites in Mendoza. Lurton was eager in connecting again with the grape of Saint Emilion’s past: Malbec. A grape that was decimated by phylloxera in the 1860s from its position as one of the most important varieties in Saint Emilion and Pomerol. It has since been reincarnated at Cheval des Andes in an un grafted form in Argentina, producing some of the world’s best Malbecs in recent years. Today Pierre Lurton acts as Managing Director of Cheval des Andes alongside Winemaker Nicholas Audebert. 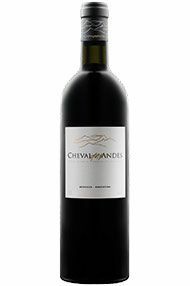 Cheval des Andes wines are a blend of Malbec and Cabernet Sauvignon grapes from the high elevation, 77 year old "Las Compuertas" vineyards near Mendoza. Some of the Malbec vines are as old as the vineyard itself and ungrafted. The 2009 is dark, dense and brooding, a gentle coaxing reveals cassis, damson, black pepper and a touch of tobacco leaf. Big bright fruit on the palate is weaved into subtle and velvety tannins. There is an impressive level of detail here, with the oak perfectly integrated to the polished fruit. 59% Malbec, 36% Cabernet Sauvignon and 5% Petit Verdot. This is a fine example of the potential that leading Chateau have seen in Mendoza. A perfect match for carne asada. I’ve had the pleasure of being able to taste numerous vintages of Cheval des Andes over the years and this is simply the best yet. Ripe and generous, but not overblown, with a massive abundance of sunny blackcurrant and blackberry fruit on the nose and palate and a very fine tannic structure and floral finish that seems to go on forever. Simply gorgeous now, this will reward some additional cellaring (another three to five years easily. If you broach this early, it is absolutely crying out for a generously thick slab of beef with Chimichurri sauce!